Are you charged with a Utah Felony? 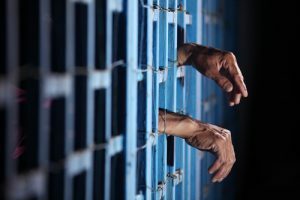 Felony charges are very serious matters which can land even the first offender in a Utah prison. The criminal defense trial lawyers at Howard Lewis & Petersen, PC are aggressive trial lawyers who know their way around Utah’s courtrooms. Howard Lewis & Petersen, PC has been around since 1950 and has an institutional knowledge of over 100 years. Being charged with a Utah Felony, or a conviction for a Utah Felony is serious business where you should immediately hire an attorney. You can go to prison on a first offense. Here are the types of Utah Felonies. Capital Felony Life in prison. No parole. Death. When the mighty weight of the government comes down on you, you should immediately hire an attorney. The collateral and life changing consequences of a felony conviction are vast. If you are charged, or if you being investigated for a felony, call the Utah criminal defense attorneys at Howard Lewis & Petersen, PC at (801) 373-6345.